Scarfs have become my favorite accessory to dress up any plain outfit. I just add a scarf to a plain outfit it to glam up my look. I have been playing around and trying a few different ways to wear a scarf. An Infinity Scarf is one that is joint on both ends. Many think that an infinity scarf gets limited because there aren’t too many ways to wear it. But, trust me, you can wear it many many different ways. Here are my top four ways to wear an Infinity Scarf. 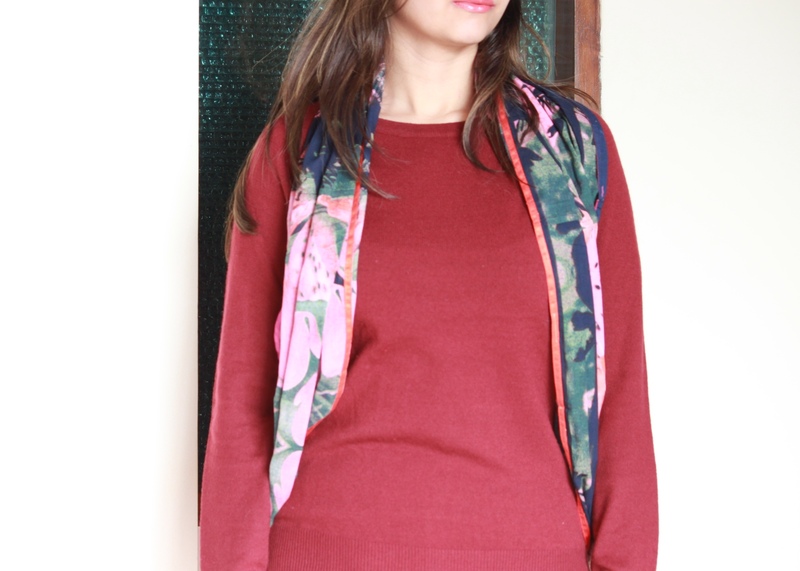 I am wearing this beautiful multi-coloured floral print scarf from Iralzo (www.iralzo.com). This one is perfect to dress up any plain outfit. 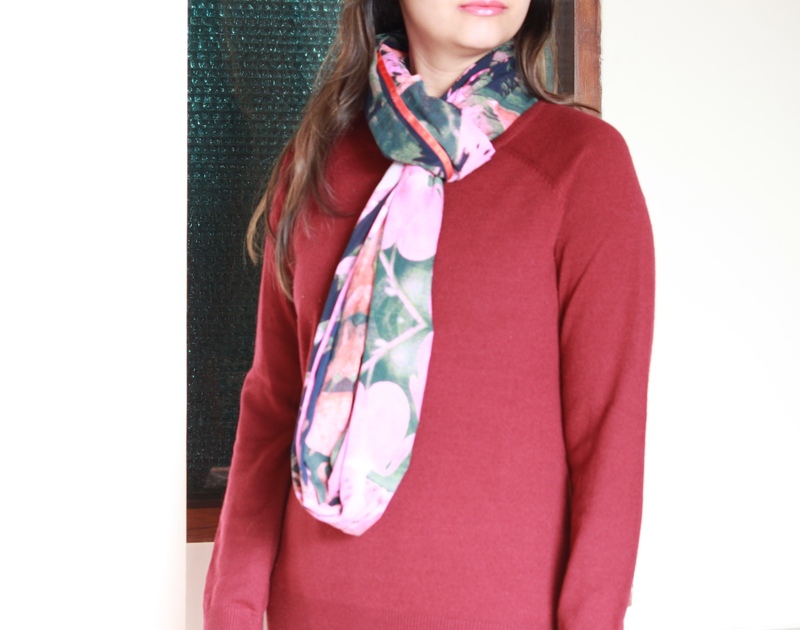 The colours of this scarf go very well with many tops that I have.  Iralzo is an online fashion brand. 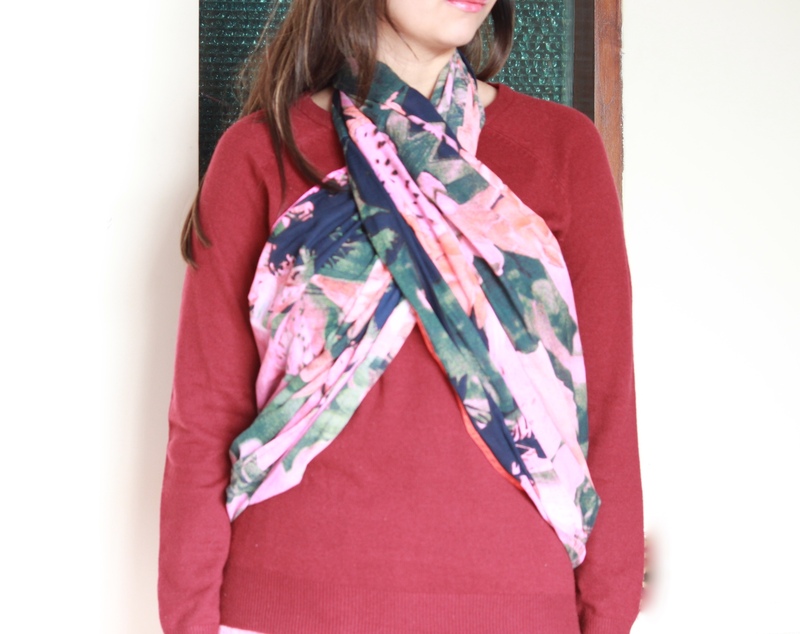 The site has a huge selection of silk scarfs, cotton scarfs, woollen stoles. 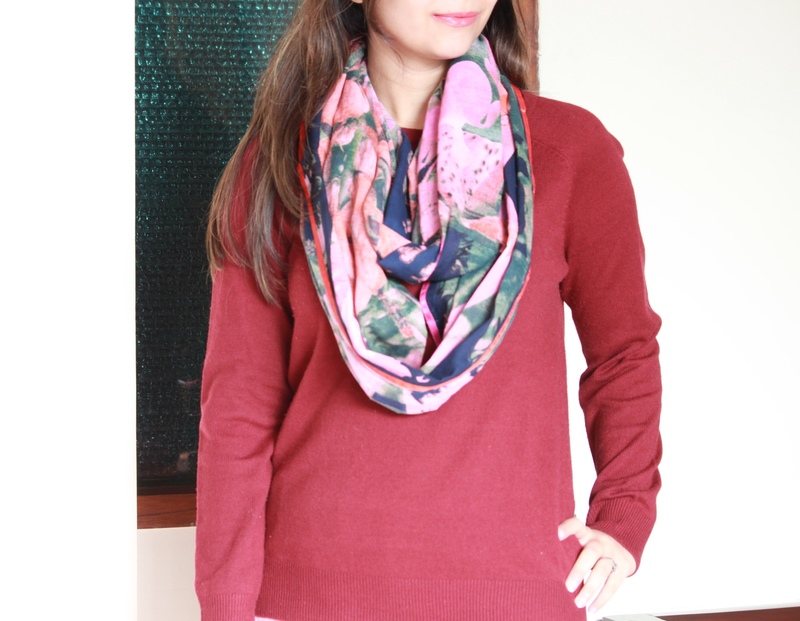 Their scarves are available in pretty digital prints also plain ones that can be paired with many outfits and for many occasions, whether it be a party or a meeting or just a casual day out with your girls. You can chose one even to team up with your Indian kurtas without breaking your bank. I like the halter top idea, the scarf can easily be reused for summers as well !